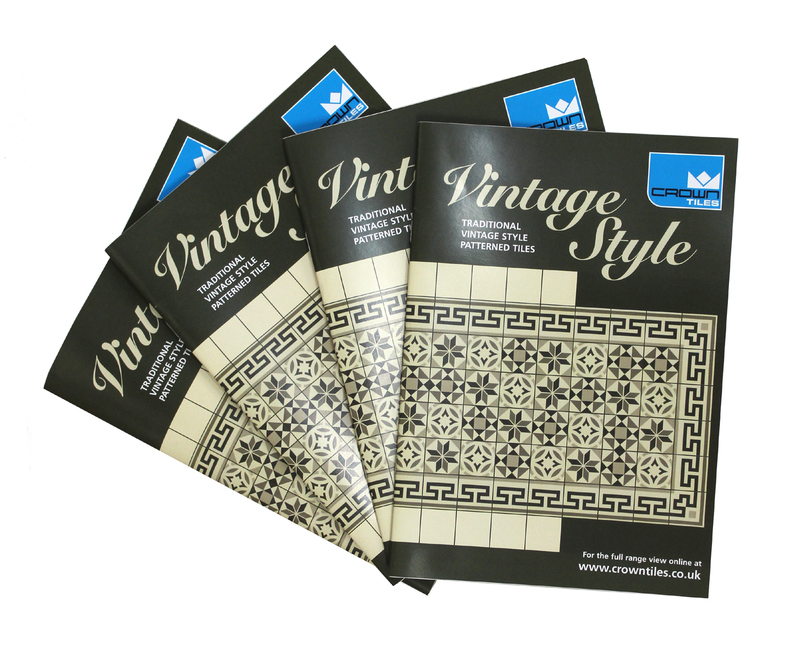 How to order a Vintage Style Brochure - If you email us at brochure@crowntiles.co.uk and header the email with "Vintage Style Brochure" enter you contact name, phone number, email address, and postal address you want the brochure to go to and we will send it in the next day royal mail post. Crown Tiles are now making it easier for you to choose which style of patterned tiles suit what you are looking for by giving you the opportunity to order a free vintage style brochure online. Along with you being able to browse through our range of vintage style tiles online ordering a brochure will at least allow you to have the styles in front of you. Therefore if you wanted to match a colour or pattern to something you already have whether its carpet or other tiles this will make it 10 times easier. These tiles during the Victorian Era became a very popular way to express art in your home. Many aspects from the home had simular designs such as carpets, wallpapers and other types of furniture like rugs for example. These patterns and designs generally included leaves, flowers, vines fruit and many other forms of wildlife. 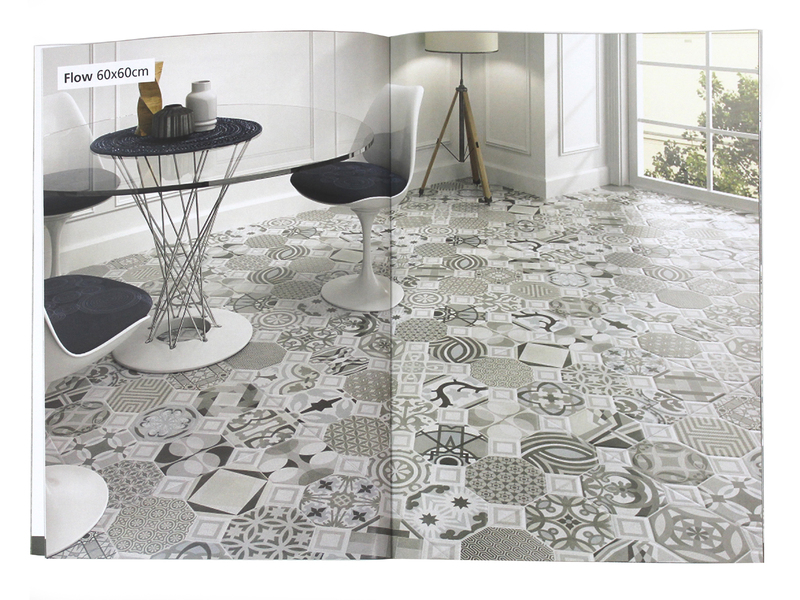 With these tiles you can create an amazing floor plan giving your home a very traditional feel but with modern twist. They are very eye catching making anybody that visits your home instantly say "WOW" look at your floor tiles there gorgeous. The tiles originally drew heavy inspiration from artists of the time such as Klimsch, Dresser and Morris. As well as being stylish and reminiscent of the Victorian age, these tiles are just as practical and easily installed as all the other tiles on the market today, making them a great addition to any home. Do not forget that you can also order up to 4 free 10x10cm samples of any of these tiles. They are also sent out on a free next day delivery service. We always recommend you see the tiles in person before commiting to an order, because we know that screen resolutions on computers or pictures in brochures can look different than the tile would in your home. So if you are looking for a unique, traditional and vintage look, our range of patterened tiles will be sure to inspire you. 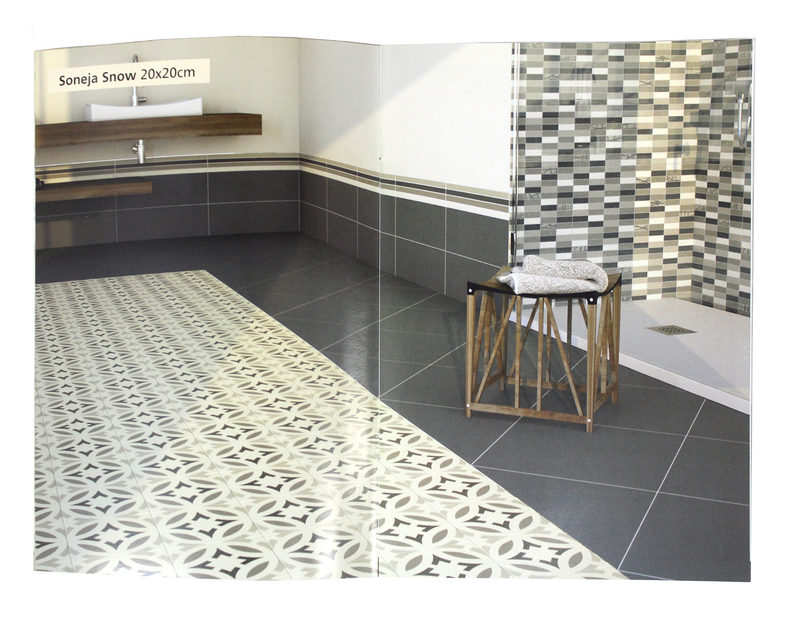 As well as the 20x20cm sized tiles we also have two 60x60cm tiles, each a random mix of four geometric designs creating a unique patterned floor but with easier fitting. We like to provide the best possible service, if you have any queries at all or need advice please contact a member of staff we will be more than happy to assist you.